Publication : May 15th 2012 by Entangled Teen. I tend to get over involved when I'm reading a book/watching a movie. I'm that person - the one who cries when something bad happens to Meredith (Grey's Anatomy) and sits on the edge of my seat rooting for Robin and Barney (How I met your mother)..and the one who yells at Bella for being such an idiot even though she obviously can't hear me. So you have to excuse my over-enthusiastic reviews. I sincerely feel and mean whatever I say. This book doesn't need a review. The 1900+ ratings of 4-5 stars on Goodreads speak for the awesomeness of Obsidian. There's a hot guy and I can't even begin to explain his hotness. He's so hot that my toes actually curled when I read this book. His name is Daemon and I'm totally and utterly in lust with him. I can't forget the morning after when Katy wakes up in bed and Daemon's not aware of what he's doing in his sleep. God, even thinking about it is making me breathless. 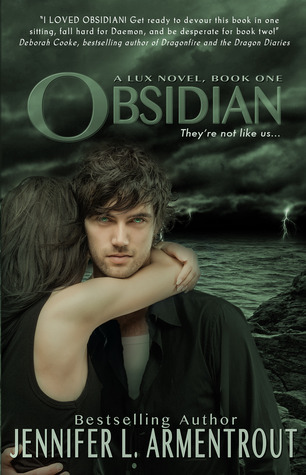 Obsidian is one of the rare books where I like the lead chick too. Katy's not an idiot and she's a book blogger! That's enough to tell me she's cool. Katy's references to meme's like In My Mailbox and Waiting On Wednesday were tiny details, but brilliant ones. All I can say is, Jennifer L. Armentrout has my respect. It felt good good to read about something other than vampires/werewolves/faeries. Obsidian made me want to get myself an alien. In all honesty, my review may be biased because I'm head over heels for Daemon. 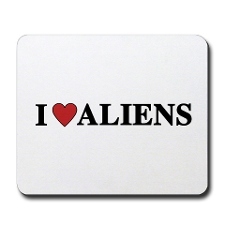 It's just hard not to love a cocky, egotistical alien. Wow, if the book is really as good as you say it is, I'm gonna go read it now! I have the book but I lent it to my friend who is taking a really looooooong time reading it. Thanks for this interesting albeit brief review! Obsidian is my favorite book of all time! I couldn't put it down, it kept me reading all night! Daemon is funny and so hot! xD this book is truly unique with the alien theme! Although I enjoyed Obsidian, I didn't really love it but I'm glad you did! This series may have become the most awesome one to be read this year. And I love that we are getting two books this year!